Empowering parent educators to uplift the families they serve. 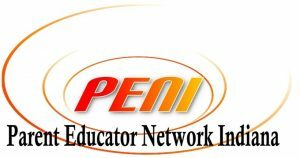 PENI was established to support parent educators in advancing the welfare of Indiana children, youth, and families through ongoing continuing education & learning, support, and networking. We believe that by strengthening and sharing our own knowledge base, we are better able to provide developmentally- and culturally-relevant training and support to the families we serve. We encourage you to enhance your skills in this profession on an ongoing basis. And…stay tuned for upcoming PENI Events by checking the IPI News feed often. Membership in PENI is open to individuals working to advance the well-being of children, youth and families. This includes, but is not limited to, youth counselors, mentors, caseworkers, parenting facilitators, educators, administrators, service providers, houses of worship, childcare center personnel, as well as parents and individuals. Join TODAY! Just fill out the PENI Annual Membership Application form below. THANK YOU! for your interest in joining PENI. Your annual membership fee of $55 includes a 15% discount on all PENI events, including trainings.